Su'ad will teach an oriental mélange class, bringing the beauty of the oriental veil to non-oriental music. Farasha will be teaching a theatrical mélange class on adding dance melodrama to a mysterious Natacha Atlas Song. Special guest teacher Michelle De Vine will teach a fantasy mélange class - belly dance inspired by Vaudeville, as taught by a leading teacher in progressive belly dance fusion! The 2011 International Festival at Central CT State University in New Britain, CT is almost here! This wonderful, annual event has been around for close to two decades, and the Desert Moon Dancers have been there almost since the beginning. Come enjoy a day of celebrating international engagement and cultural diversity. Dalia Carella and "Fusion, Not Confusion"
Dalia Carella is a world-renowned Near/Middle Eastern Contemporary Dancer, Choreographer, Instructress and Global Fusion Artist. Audiences from around the world have applauded her mystical and innovative dances and choreographies that are taken from the tradition of the countries she is representing. We are happy to be able to bring Dalia back to Connecticut. Dalia will teach a choreography to a non-traditional song that has some near eastern instrumentation and show you how to incorporate traditional oriental dance moves with contemporary moves while adding other dance style movements that fit the flavor of the song. Dalia will also lecture on “Fusion not Confusion” and what to do and what to avoid as you work on a contemporary middle eastern dance. Don’t miss out on this event – contact us to receive a flyer or additional information. Pricing for this event will be an affordable $75 for the workshop and show ticket. 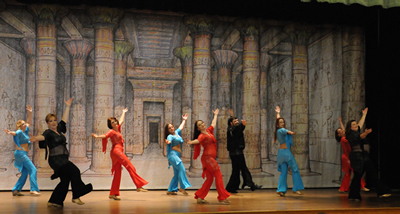 And workshop attendees will as usual have a chance to perform – bring your best contemporary middle eastern dance! Event held at beautiful Connecticut College in New London, CT.
Get ready for the 2010 International Festival at Central CT State University in New Britain, CT! This wonderful, annual event has been around for close to two decades, and the Desert Moon Dancers have been there almost since the beginning. The theme this year is "Engaging Global Communities." Come enjoy a day of celebrating international engagement and cultural diversity!